‘America the Beautiful’ serves as many things, all of which are truly valuable. In it you’ll receive an American history lesson, a personal rags-to-riches testimony, expert analysis of our healthcare system from the Director of Neurosurgery at Johns Hopkins, and many other assorted political, social and “religious” proposals that in the very least are worth considering with all due seriousness. This book is a priority for free political and social thinkers seeking truth in some of our nation’s more polarizing disputes. 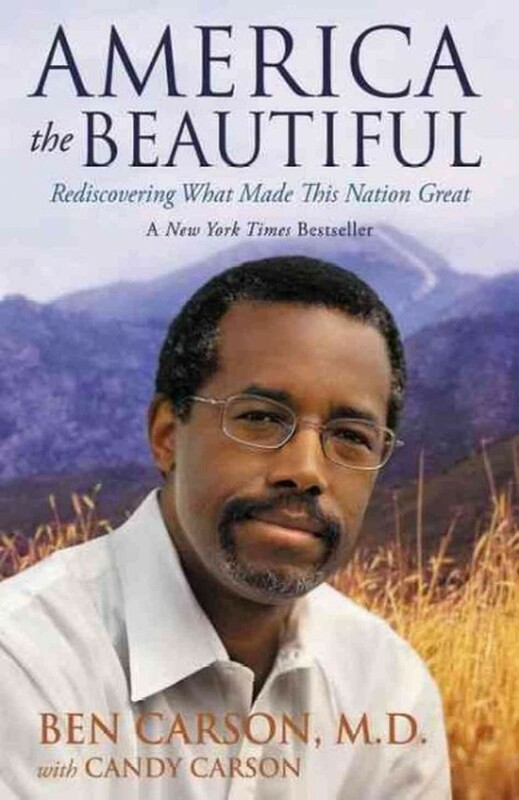 -Throughout his book, Dr. Carson exhibits an unmistakable allegiance to our nation’s founders. This struck me as both refreshing and inspiring, that a very respected neurosurgeon would find such integrity in the words of the framers of this country. Not only does history in this sense inspire Carson, but it also very markedly influences his political and social views. In his chapter titled “Are we a Judeo-Christian Nation or not?” Carson quotes Ben Franklin in his address to the Constitutional Convention, (1787) seeking to reinstate prayer in their meetings. Carson points out the result of Franklin’s vehement charge to the convention: A tradition that began then and continues to this day, that Congressional sessions always begin with prayer! – Carson takes a hard line on family values and education while staying course to defining and encouraging a ‘moral nation.’ He argues that traditional family values were a major variable in the early success of our nation and that the Bible was instrumental in instilling these values, both at home and at school. It was this basic teaching of right and wrong (with the Bible as the blueprint) that was commonplace in schools, in turn giving birth to responsible, accountable and honest generations of Americans, in Carson’s view. Although I personally resonated with a lot of Dr. Carson’s assertions, I felt that this book was a bit unorganized and it lacked focus. Carson covers a range of topics for sure, but rather than thoroughly tackling each topic, he tends to more generally touch the surface for each proposal. Although his book is not designed to outline his plans for America’s transformation, some specifics could have been useful! I certainly respect Carson’s faith and his boldness concerning his beliefs in the public light, but I couldn’t find myself fully aligning with his theologies, especially his repeated remarks about ‘human nature.’ I’m very much a critic of the ‘old covenant’ view of human nature, so I’m certainly not singling Carson out, but I tend to align more closely with the Wesleyan school of thought when it comes the “nature” of the reborn believer. With but a handful of qualms, Carson’s narrative is still a solid B in my book! Posted in Book Reviews, Impressions, Spiritual Insights and tagged america, ben carson, speaker on March 25, 2014 by joesharp.